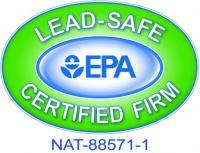 Tired of cleaning all that metal and glass on your shower door? Say goodbye to that heavy metal look. 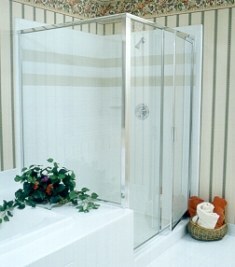 Today’s new shower doors are available semi frameless or with minimum of metal. Doors come in a variety of glass styles and frames to match the most popular faucets and bath hardware styles on the market today. Also available on new doors are protective coatings applied to the glass that help keep your doors cleaner and newer looking. Visit our showroom for styles and pricing.